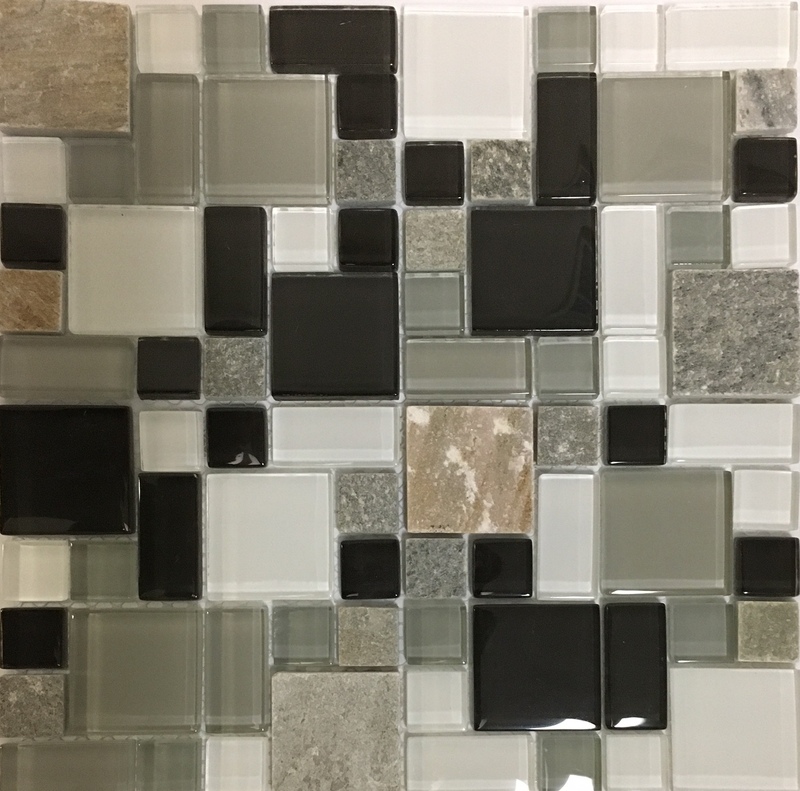 Mixed sizes Glass and Stone Chips on mesh backing. Not suitable for use on floors. Maintain at least 12 cm separation from burner element if using as splashback behind stovetop.